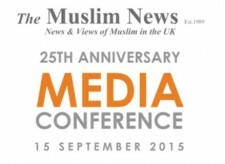 Muslim Aid marked ‘Muslim Aid Day’ at the BT Auditorium in London on October 29. 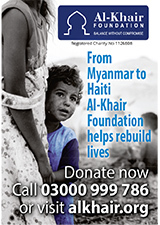 Muslim Aid Day is an annual occasion which is held within the month of Muslim Aid’s inception. A theme is selected as a focus of the event which has included water and sanitation and child sponsorship in the past. 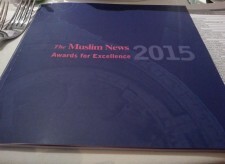 The theme of this year’s event was, ‘30 years of Serving Humanity’ in light of Muslim Aid’s 30th anniversary. Hosted by Ajmal Masroor, the event, held at the prestigious BT Auditorium in St Pauls, London, included Lord McNair, Murad Qureshi and Kashif Siddiqi among its attendees. 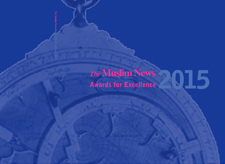 From its inception in 1985, Muslim Aid has grown from a small organisation to one of largest Muslim NGOs in the world. 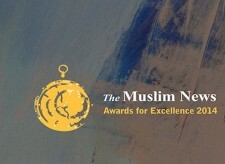 Originally working to alleviate suffering during the humanitarian crises which plagued Africa through emergency relief, Muslim Aid expanded its work to encompass long-term humanitarian assistance through economic empowerment, education, child sponsorship, water and sanitation, shelter and disaster risk reduction. Muslim Aid now has field offices in 17 countries worldwide and operates in over 70 countries. What is 4 + 11 ?